The last few decades have witnessed exploitative consumption of energy, resulting in a steady drop in non-renewable resources. In parallel, with the advancement of technology, firms across the globe are striving to find newer and smarter solutions to make the storage of energy easier and more efficient without compromising on the safety. The ability to store energy in batteries brings a completely new perspective, making it possible to store larger amounts of energy for a longer duration of time. The shift from conventional NCM batteries to those composed of Lithium Titanate has brought improvements like faster battery recharging, significantly longer shelf life, and minimal maintenance. Groundbreaking technology is being utilized by many industry leaders to lower risks, such as flammable and toxic gas production, leakage of hazardous materials, and overheating and thermal runaway, in energy storage systems. Latent short circuits in lithium-ion batteries that cause fires can be effectively mitigated by replacing the conductive anode layer with insulating materials. The energy storage marketplace is filled to the brim with myriad solution providers, which makes it cumbersome for a CIO to choose the apt solution provider. 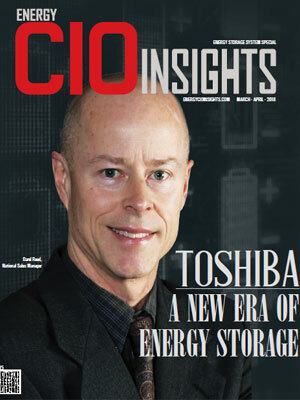 To make the task easier, Energy CIO Insights brings a special edition on energy storage systems. 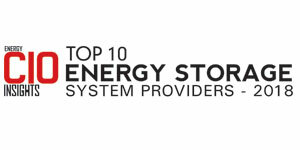 Our distinguished selection panel, comprising CEOs, CIOs, CTOs, industry analysts, and our magazine’s editorial board, has narrowed the choices to a few trailblazing providers that exhibit competence and innovation in delivering efficient and cost-effective energy storage systems.